Take a walk to the centre of the Earth (well the equatorial line to be exact), explore Quito's historic center, the largest and best-preserved in the Americas, and visit magical cloud forests and bustling markets. 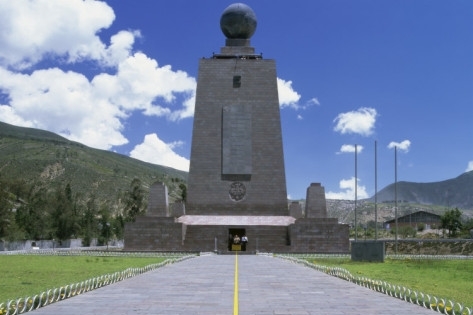 This 5-day itinerary introduces travelers to the little-known attractions of the Quito area before they continue to the "Oriente" for an Amazon cruise or head to Ecuador's main tourist attraction, the Galapagos Islands. You are met at the airport in Quito and escorted to your hotel. Depending on your arrival time, you either have the day to explore the city or rest in your comfortable hotel. Why not take a stroll around the bustling cobblestoned streets amidst pastel-colored mansions in this, the best-preserved Spanish colonial center in Latin America.